ecoFinish Industrial Coatings Now Part of ecoFinish Installer Services! ecoFinish's new signature line of industrial and construction grade thermoplastic coatings are now available! Branded as ecoDustrial, these performance coatings are applied using the patented ecoFinish thermal flame spray application process. Installation is performed onsite - and are applied at any location and on virtually any surface to create a beautiful protective barrier coating that will last for years. ecoDustrial traditional coatings complies with NSF/ANSI 61. Coatings are non-porous, PH neutral and will withstand our harsh Canadian climate and UV exposure. Extremely durable, ecoDustrial coatings are resistant to chipping, peeling, chalking and cracking and maintain some flexibility - even at low temperatures. Non skid coatings are perfect for floors where slipping is a concern; granular coatings ensure safety requirements are met. ecoDustrial coatings are available in a wide range of colours and textures. ecoDustrial coatings cure in seconds - not days or weeks as with other traditional industrial coatings. ecoDustrial is suited to wet or dry locations and is designed to be installed onto concrete, fiberglass and metal surfaces. For further information check out our Canada Coating website. JAC Incorporated offers 35 plus years of expertise in the Construction Industry. Owner and founder, Franz Lennarson, heads up the JAC Incorporated (JAC Inc.) team of experts who possess over 40 years of professional know-how in the specialty vertical market of seamless flooring. JAC Inc. boasts a large technical support team which enables JAC Inc. the ability to offer commercial clients the best relevant products and latest technological advances aimed to reduce time and labor costs resulting in project completion in the proposed timeline with the best quality result. Franz is dedicated to JAC Inc.'s vast commercial clientele’s needs; Franz is an accomplished, highly knowledgeable and proactive service leader whose team is exceedingly proficient in this specialty industry. Polished concrete, concrete sealers & densifiers, acid stain, dyed concrete surfaces. Membranes (mechanical rooms, waterproofing), poly-urea’s, floor joint sealants. Specialty flooring, epoxy flooring, fluid-applied flooring, polymer flooring, polyurethane flooring, seamless flooring, acid stain. Seamless wall coatings, glazed wall coatings, high build coatings, resinous matrix terrazzo flooring, swimming/hot tub basin specialty epoxy coatings, swimming/hot tub basins high strength thermal plastic. 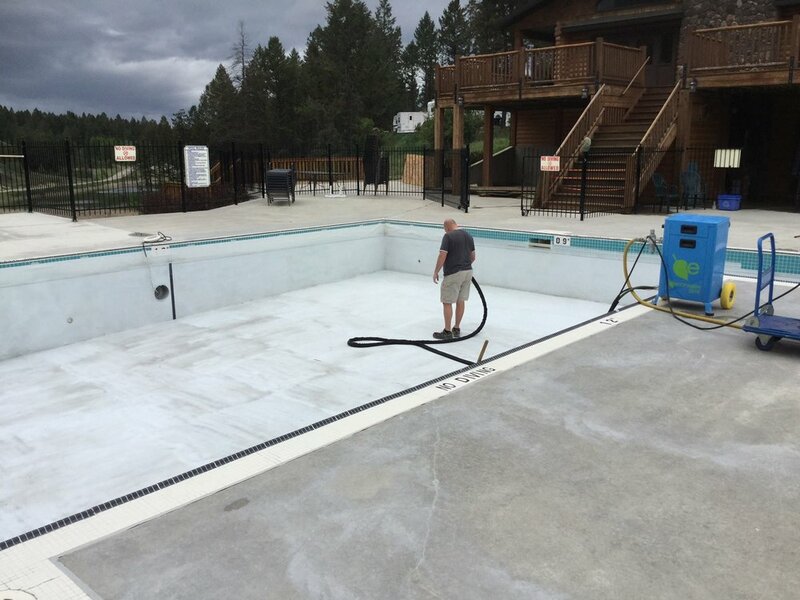 Swimming pool refinishing – including epoxy, marcite, tile finishes. 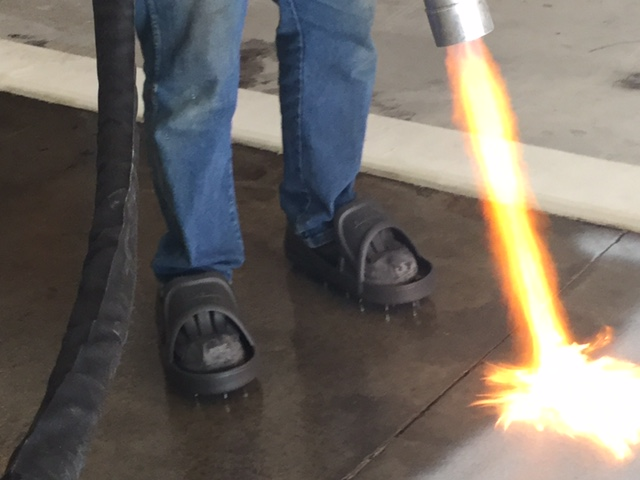 Concrete preparation; concrete shot-blasting, scarifying, joint repair, concrete leveling, concrete diamond grinding (4”, 7”, 22”, 30”) and sandblasting. Canada Pool Coating is very proud to announce JAC Inc. as our newest Certified and trained ecoFinish installation partner for Edmonton Alberta. 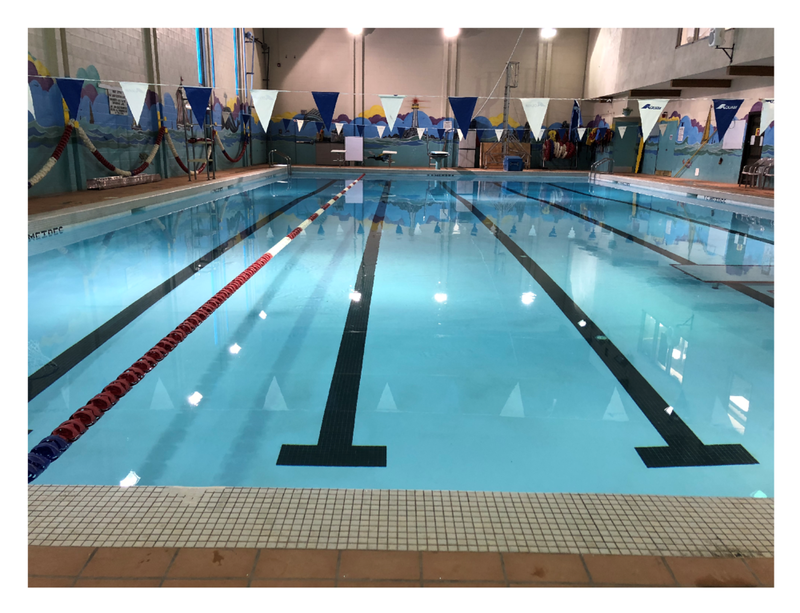 Franz and his JAC Incorporated team have completed their first projects which include the Olympic sized pool located at Burman University, the Super 8 Motel and Knottwood Edmonton hot tub. JAC Incorporated supplies, installs, and warrantees all of their installations and is an Alberta owned and operated company servicing all of Western Canada. JAC Incorporated is also a Certified Approved Applicator for Sika Canada, General Polymers, Ameri-Polish, and Mapei...and now ecoFinish! Congratulations out to Roger, Michael and the entire Willis Construction team on winning serveral awards including the coveted Casey Van Maris Award for 2018; this project will be entered in the international competition next...fingers crossed! For more information about this project and to contact Willis Construction from Kars Ontario, please contact Roger at roger@rogerwilliscontracting.com. Yes... Another great ecoFinish installation by a Canadian ecoFinish Installer! Its that time of year again! If you are a Pool and Spa member and haven't been to this event yet...why not plan on making the trip to Niagara Falls? Its a great break and, the Canadian Pool & Spa Conference & Expo is Canada’s main event for the pool industry! There is a combination of various accreditation courses, pool trade expo (trade only) and awards gala; best of all, you can network, socialize and enjoy one of the best buffet luncheons around! Close to 150 companies will be presenting their wares at what is Canada’s largest exhibition serving the aquatics leisure industry. The products and services of leading manufacturers, suppliers and distributors will be on display including the latest technologies, equipment, chemicals, automation and accessories for swimming pools and spas, and of course, Canada Pool Coating will be there with the USA ecoFinish team so drop by and say hello (Booth #435). Both of these live demonstrations are held in the parking lot at the rear of the Scotia Bank Convention Centre. Canada Pool Coating Team will be at Booth #435 December 6 and 7th, 2017. Plan to attend one of the 2 outdoor, hands-on ecoFinish demonstrations on Dec 6th; First demo: 10:30 - 11:30 am and an afternoon session from 1:30-2:30 pm. Experience the revolutionary ecoFINISH® high performance, thermal spray finishing system for yourself. See how fast it works! For more information on entry fees to the Niagara Falls Pool Show, view the Attendee’s Guide. The expo is hosted by The Pool and Hot Tub Council of Canada at The Scotia Bank Centre in Niagara Falls Ontario; easily accessible and conveniently located close to hotels, restaurants, casinos and of course the main attraction - The Falls. 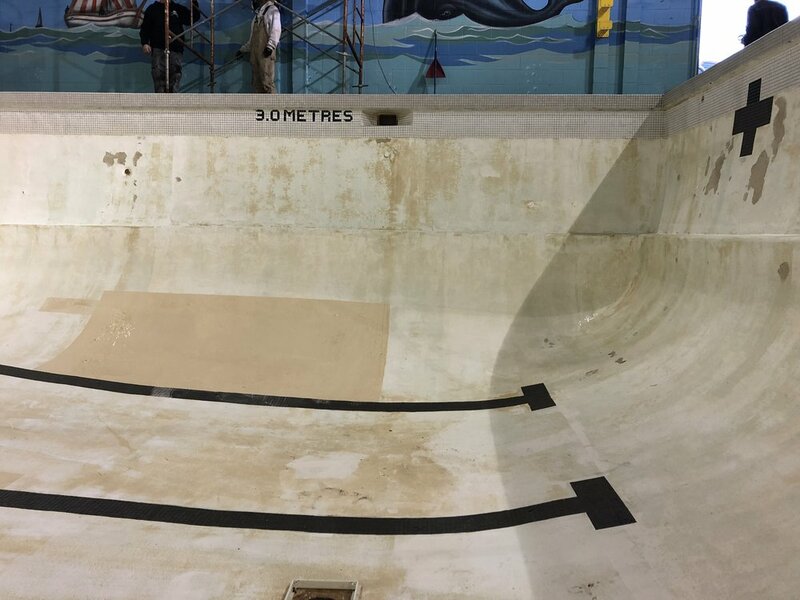 Photos above depict the process of ecoFinish installation of thermoplastic finishes to concrete pools; preparation of surface, epoxy application, flock coat and final finish coats. Jeff Lavergne, President of ecologic Coatings Inc. is Canada's newest Certified ecoFinish installer for the Kootenay Region in beautiful British Columbia Canada. Jeff has over thirty years experience in the construction industry and is pleased to now offer ecoFinish thermoplastic spray finishes to his list of service offerings. Once the ecoFinish final coat on the pool is completed just balance and swim! Ottawa Pool Works is pleased to include ecoFinish thermoplastic spray finishes to their long list of quality services which include onsite pool operator training, health regulation assessment and/or compliance… not to mention Ottawa Pool Works is Ottawa’s largest distributor of commercial swimming pool and spa chemicals, testing supplies, equipment, and parts. ecoFinish developed their revolutionary line of aquaBright and polyFibro thermoplastic finishes as a smooth non porous finish that is hard wearing and withstands the constant chemical use required for high bather traffic; ecoFinish finishes can be installed on both commercial and residential pools. Ottawa Pool works have both commercial and residential clients. 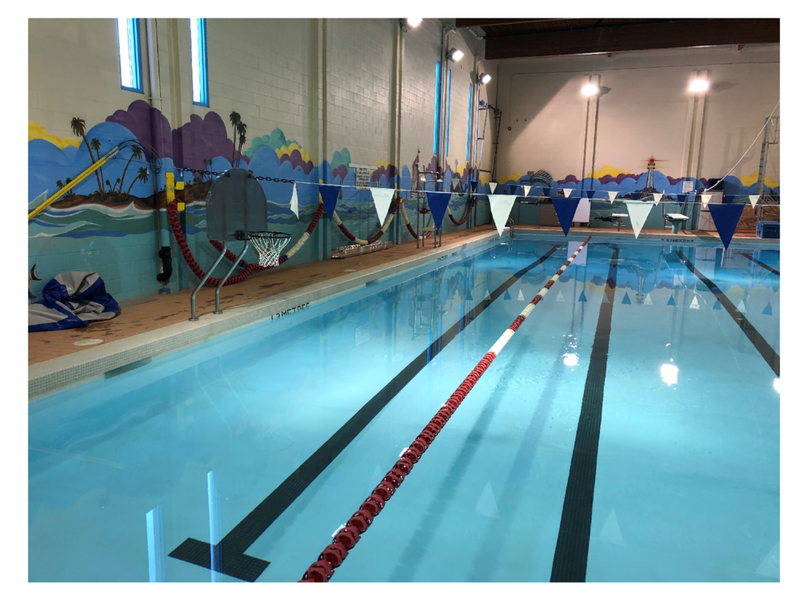 Commercial Pools differ as they require safety markings. ecoFinish stencils are used for depth markings, racing lanes and verbiage instructions; these stencils are installed over the finish coat and a contrasting finish is applied. The result is a clean and concise read out which is melded to the finish coat as one permanent finish. Another Landscaping Specialist has joined the family of ecoFinish Canadian Installers! Al Vissers and his team design at Down to Earth Landscaping have 14 plus years experience building custom poolscapes, landscape design, patios and water features (to name just a few) for his clients who are looking for them to create the perfect backyard retreat. Al is also highly experienced with all aspects of the fiberglass pool industry; he has installed many of them in his lengthy career. Al is familiar with the history of fiberglass and its downfalls - issues such as gel coat failures, chalking, blistering and, that many are prone to fading. These drawbacks (and Al's obsessive need for positive customer satisfaction) drove Al to seek an alternative method that would restore fiberglass and at the same time, offer his clients another option for new builds and restoration. This product is polyFibro by ecoFinish. When Al Vissers saw how well ecoFinish thermoplastic finishes transformed an old fiberglass shell he had he was truly inspired. Now, if a client has a fiberglass pool or spa with issues and/or is likely to deteriorate further, Al can offer an option instead of replacement. ecoFinish can be installed onsite without the need for costly removals. Canada Pool Coating is proud to announce that Al and Julie Vissers have expanded their Down to Earth pool and landscaping business, located in Dundas, Ontario, to now include ecoFinish thermoplastic spray finishes to their generous list of services. Operating as ecoFiber Fix, a division of Down to Earth Landscaping, Al and his team will transform tired pools, steps and spas to like new condition. ecoFibre Fix will also transform concrete and marbelite pools and look forward to helping you enjoy your pool again! ecoFinish is available in 21 different colours and custom colours also available. Darren Borland and his team at Ontario Pool Coatings is making a huge splash in the Greater London region and surrounding areas. Darren's foresight to join the growing number of Canadian ecoFinish installers is keeping his pool team extremely busy! After obtaining a 4 year business degree from McMaster University, Darren saw a huge potential to expand his business. Now in its 2nd year of operation, Ontario Pool Coatings is proud to offer their clients a better option for finishing: ecoFinish thermoplastic spray finishes. ecoFinish is used to finish new build pools and spas and, is also used to transform older pools and spas to 'like-new' condition. Darren also loves the fact that he is offering his clients an ecofreindly worry free finish that requires less chemicals ! ecoFinish is a solution to issues associated with pool paint & plaster. The Ontario Pool Coatings crew as a whole has many years of concrete experience and pool servicing. 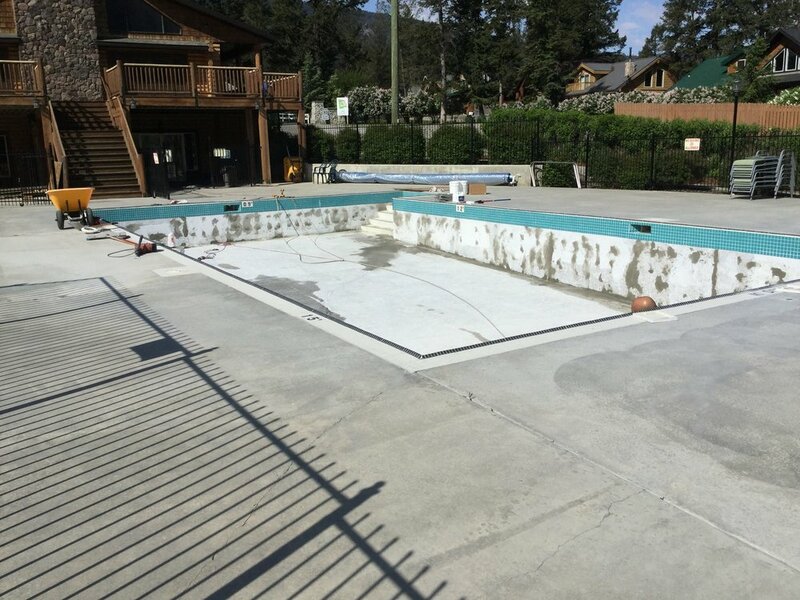 Darren's early experiences gained while working with a pool liner installation crew for 2 years was a key factor to his realization that ecoFinish is much more practical to install. The first pool is a concrete pool and concrete deck refinishing (pool is Kona Coast until the waterline where it switches to Sahara Sand for the waterline upwards and the deck). This concrete spa was repaired and prepped for the ecoFinish install. 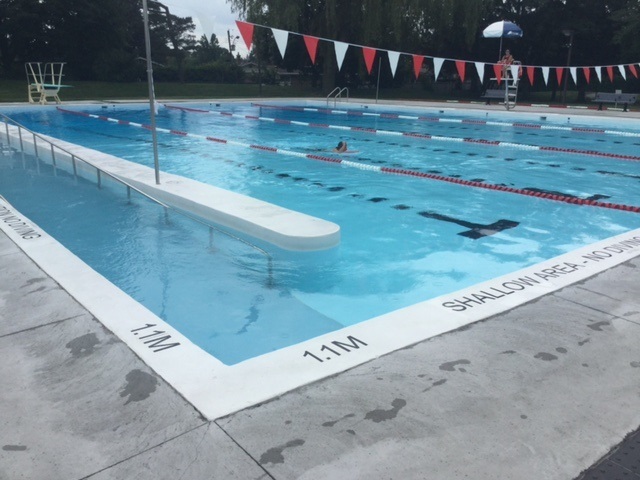 Nice work Ontario Pool Coatings! 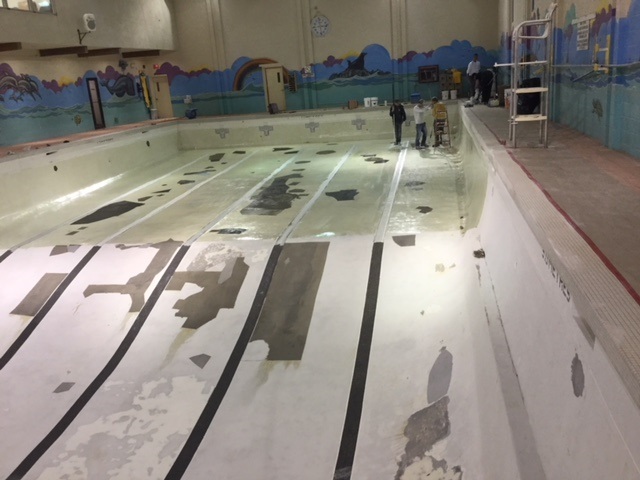 Ontario Pool Coatings is growing rapidly; Darren is always interested in speaking with pool owners interested in having a pool refinished or wanting an alternative to paint and plaster. Darren is also working with Pool designers and builders and offers his ecoFinish expertise to those who are looking to subcontract his finishing services. Jim Cherry and his team at Cherry Pool Finishes have sixteen years experience working in the pool industry. They are very pleased to now offer the revolutionary ecoFinish™ Thermoplastic Pool Finish products to their list of specialty services which also include liner replacements and automatic pool covers. 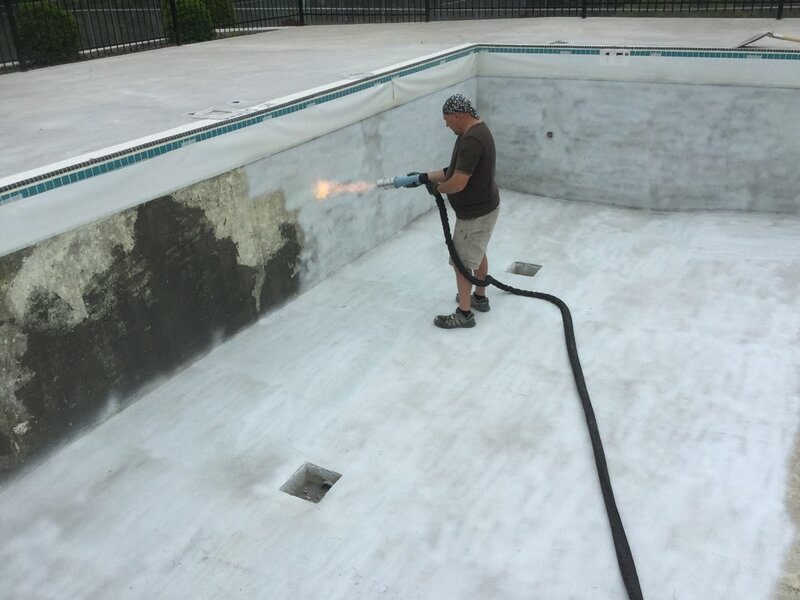 Cherry Pool Finishes provides ecoFinish installations for fiberglass renovations to pools, spas and steps; he is already expanding his business to include new build pool finishing and refinishing of older Commercial and Residential projects. The Cherry team will focus their service offerings in the GTA (east). As a Certified ecoFinish Installer, Cherry's clients can now choose aquaBright™ and polyFIBRO™ high performance pool finishes and, offer them a 10 year warranty, 21 designer colour choices and an ecoFriendly low maintenance alternative to traditional pool finishes. Look for the 'finishing touch' with customized stencils. Completely mobile ecoFinish system enables Cherry Pool Finishes to restore onsite! Jim Cherry President Cherry Pool Finishes Inc.
Are You Looking to Invest in Your Business Growth in 2017? Looking for something innovative? ecoFinish is a worldwide proven alternative to traditional swimming pool paint and plaster and a solution to the issues associated with them. Attract More Commercial & Residential Clients - offer ecoFinish High Performance Finishes! Take back control of your business and invest in your growth. No need to subcontract. Fiberglass Renewals Can B Performed Onsite. No Removal Necessary! 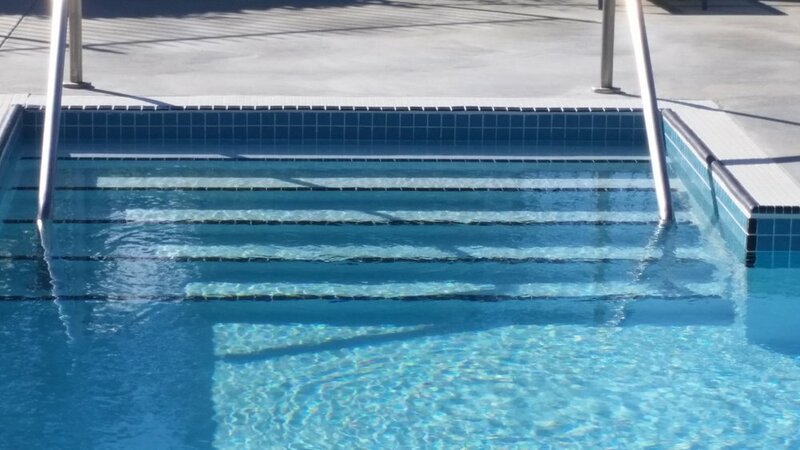 Revive Your Old Fiberglass Steps To New Again...We Can Match Your Pool Surface Colour! Free to Attend. Experience: Priceless. Try our ecoFinish thermoplastic spray system. 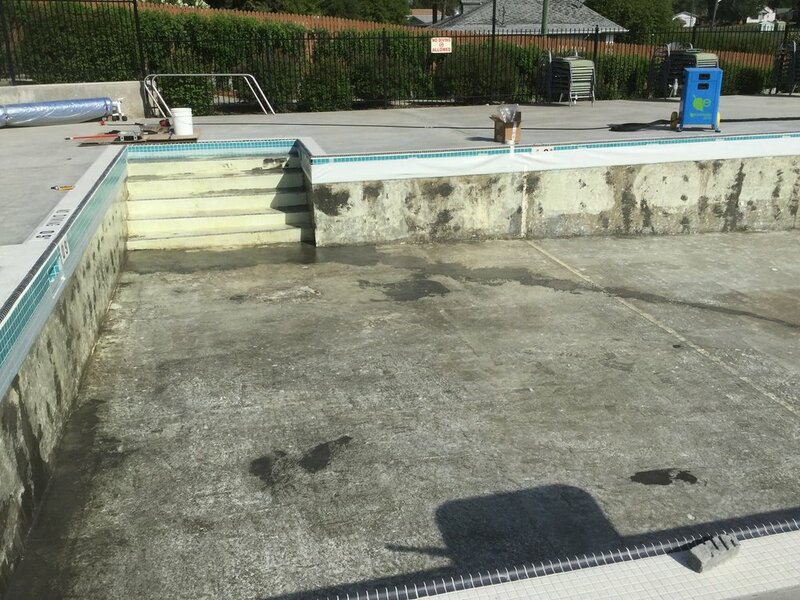 See how exciting it is to transform an older pool, spa or step in record time. See how Certified ecoFinish Installers finish a pool in days not weeks! RSVP is limited to 20 seats. A hearty lunch is provided. Tour of area pools is also scheduled. For More Information Please Contact Mike Cleary at info@CanadaPoolCoating.com or 613.623.5903. Please RSVP by March 18, 2017. This is the last USA demo for 2017. See What All The Best Pools Are Wearing This Season! We would like to welcome Shawn Bruinsma and his team from Blue Horizon Pools & Spas as the latest Canada Pool Coating Certified ecoFinish™ Installer Partner. This family business has served the Huron, Perth & Lambton Shores area for the past 40 years; Blue Horizon Pools & Spas are excited to now offer Alpha Evolution pools and the EcoFinish™ pool finish product line to their customers. Repair damaged areas; ensure the repair is dry, adhered to the substrate & free of cracks. Remove all contaminants. Profile the surface by lightly blasting using a non-aggressive blast media or sand with 80 grit sand paper. Clean the surface using compressed air, blow or vacuum dust from the substrate. Power wash pool/spa with tri-sodium phosphate or an appropriate alternative to remove all contaminants. Follow this with a fresh water power wash rinse. & wipe the surface down using acetone solvents. Tape & mask all tile. Seal any open fittings. Remove all pool lights. Wrap the light cords; protect fittings and fixtures. Apply a 100% strength X40 ecoFinish epoxy coat. Make sure to coat the entire pool but not the PVC fittings. Apply polyFibro “Hot Flock” coat to surface into tacky epoxy. Move with a side to side motion with the gun tip about 3 feet from the substrate, starting from the cove and working up to the tile. fiberglass tub after ecofinish application...and loving it! Blue Horizon Pools & Spas also sell Marquis Spas and offer a complete line of pool and spa products at their large retail store; maintenance services and water testing is also available. No pool or spa installation is complete with a great landscape design. Blue Horizon also over winters tropical plants for clients in their onsite nursery! Shawn offers landscape and design services and his team will plan, organize and install all aspects of the project for homeowner peace of mind and enjoyment. Become A Certified ecoFinish Installer today! Tired of throwing your hard earned money away on excess labour costs and downtime? Streamline Your Expenses. Increase Your Profits! Only 2 persons are needed to install ecoFinish ! No carbon footprint. NO heavy equipment is needed to transport or install ecoFinish. The ecoFinish system is completely portable! Sick of paying for waste associated with pool plaster and paint? ecoFinish has zero waste by-products. Paying for warehousing? These days that cost gets pretty pricey...an average pool requires 1500 lbs of cement based finish. Typically, only 80 lbs of ecoFinish is needed for an average pool. No hot starts: ecoFinish cures instantly ! No trucked in water. Fill with a garden hose if you want to save your clients money. Perfect for New Builds or Renovations. ecoFinish. Perfect for Pools Worldwide. Perfect for Canada! Visit Mike Cleary from Canada Pool Coating at the ecoFinish Booth# 1743 Jan 24-26th. Seating is limited. Lunch is provided. Please RSVP this info-session event by Jan 22, 2017. Unlike plaster or other cementitious (porous) surfaces, aquaBRIGHT™ is inert; it does not react with the water chemistry. Any chemicals added to the water in an aquaBRIGHT™ pool adjust the chemistry of the water and only the water. Cementitious surfaces below the aquaBRIGHT™ finish are safely sealed from water (chemical) contact. No calcium leaching can occur and the pH is easier to balance. Simple. A 1991 scientific research report published by the School of Building Construction at the University of Florida stated “The deterioration of marcite (plaster) has been found to be chemically related and due primarily to leaching of Calcium hydroxide (portlandite) from localized areas of pool plaster. Acidic pool water (pH less than 7.0) can wreak havoc on marcite and pool plumbing resulting in etching and staining. 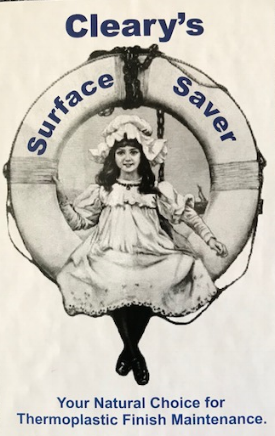 Proposed solutions to control the damage aggressive water can produce include (1) paying careful attention to water chemistry to avoid unbalanced water conditions and (2) providing a chemically inert barrier between the pool water and the marcite surface.” Until recently, there was no such thing as a 'barrier solution'. Chemical reactions between the water and the cementitious surfaces cause a constant shift in pH levels. Pools and spas finished with aquaBRIGHT™ and polyFibro™ have no chemical reactions. No Need For A Pool Water Chemistry Degree. 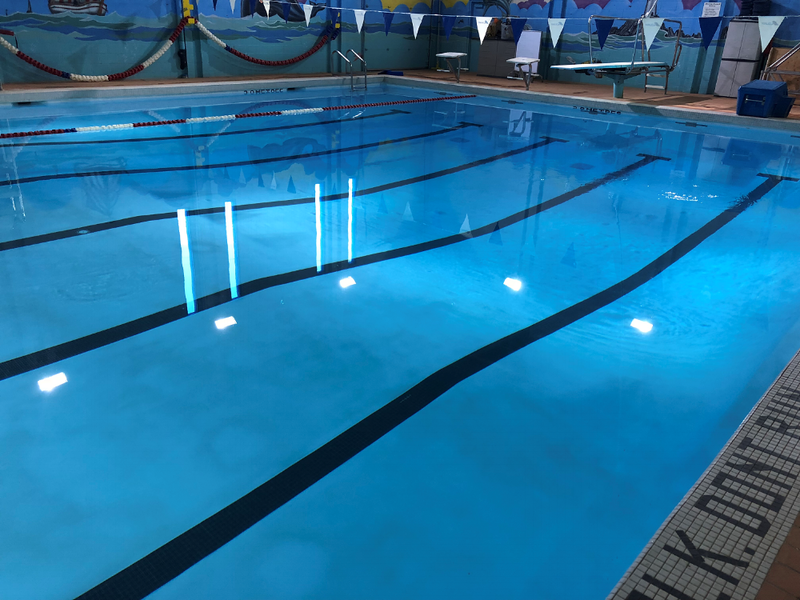 Commercial pool owners report they experience approximately 40% savings in annual chemical consumption for the same pools now finished with aquaBRIGHT™. The target chemical balance for a pool finished in aquaBRIGHT™ is simplified. Pool owners will find it very easy to maintain the proper pH and chlorine levels as the major cause of pH drift is now eliminated. Adding chemicals is safer and easier now that there is no reason to pre-dilute acid by mixing it with water prior to pouring into the pool. aquaBRIGHT™ and polyFibro™ are manufactured from the same polymer resin as the jugs that store pool chemicals. In fact, they are so impervious to chemical attack that even pouring straight Muriatic pool acid directly onto the finish, allowing it to remain for 10 minutes and after washing it off, there is no visible evidence of the acid having any effect on the surface. Sounds like this year's Atlantic City Pool Show is really going to rock! The Welcoming Party Saloon on Monday Jan 23rd (complete with a mechanical bull ride) should get the party started and keep everyone hopping! Interested in expanding your services? If your serious about offering ecoFinish thermoplastic spray finishing to your Canadian Commercial and Residential clients, here's your chance. RSVP with us at info@canadapoolcoating.com or call us 613.623.5903 to reserve a spot today.